What would you do if your patient’s medical records were hacked and you were required to pay a ransom -otherwise they would be shared with the public? The threat of cyber-attacks is a growing concern for businesses, and medical practices are not exempt. 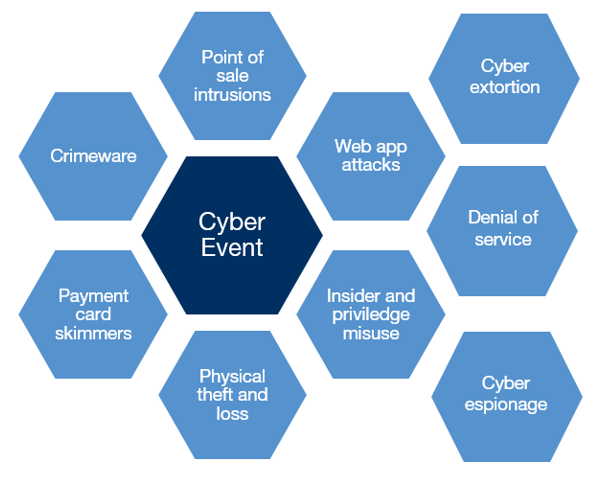 In response to this emerging threat, insurers have developed cyber event products that can offer valuable protection. Many businesses don’t have this cover but should consider it. Breaches can happen in the form of wrong email attachments, stolen devices, and abandoned files. Getting infected with malware can happen with a simple click of an email attachment. Resulting costs can include investigation, reporting, and customer notifications of a breach. Cyber coverage is affordable and easy to buy – with premiums starting from around $1,000 per annum. *Source: Gen Re Insurance. The information above has been prepared by Experien Insurance. This information does not take into account your relevant investment objectives, financial situation and needs. You should assess, or seek the help of your Adviser to assess, whether this information is appropriate to your individual investment objectives, financial situation and needs before making an financial decision on the basis of this information. You should consider the Product Disclosure Statement (PDS) when deciding whether or not to acquire or to continue to hold an insurance product.